"My wife and I had been wanting to have new work done to celebrate our time in Norfolk, where I did my MFA in Poetry at Old Dominion University. My wife wanted photo-realistic flowers on her back, and sought out tattoo artists who could do such work. 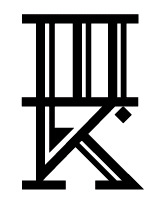 She decided on an artist named Sean Karn, who owns his own shop in Norfolk (he can be found on the web at (http://seankarn.com). While I was looking at Sean's work, it occurred to me that he could do photo-realistic portraits, and I immediately thought of the notion that as poets we need to write as if those poets we love are looking over our shoulders. 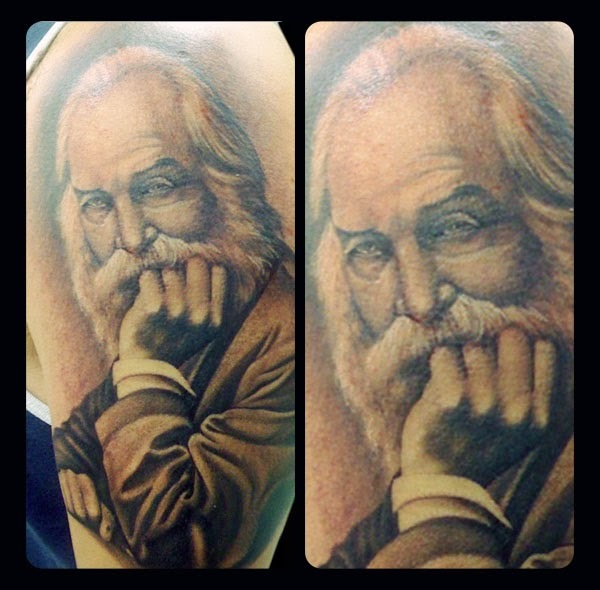 Whitman was my first poetry love, and it felt only right to have him with me at the writing desk. I began to research Whitman portraits and learned that he was obsessed with photographs, and the idea that a man is never the same from one moment to the next, and so photographs serve as a reminder of what we were in that moment while helping us to think about our place in the current moment. I often feel this same way about poems (mine or anyone else's that I love). I love how a poem can change as I grow and change as a reader, and I felt not only a deeper kinship to Whitman's poetic work, but also his ideas about personal mutability. 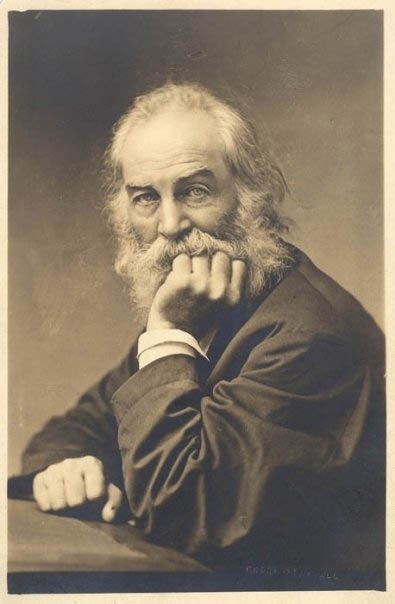 I searched the Walt Whitman Archive for portraits I thought I would like, and I told Sean to pick the one he wanted to do; after all, he is/was the artist! He selected my favorite from the bunch I gave him and set to work. The portrait on my left arm is credited to G. Frank Pearsall and is believed to have been taken between 1869-1872. What I love most about the memory of Sean working on me is the intimacy this piece afforded he and I as artist (him) and me (medium). 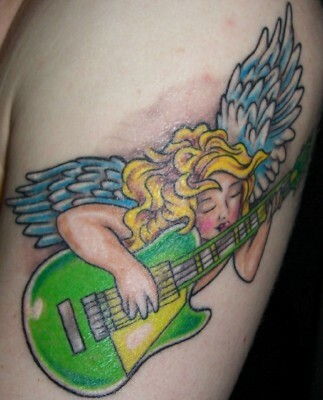 Sean completed this piece in a single four-hour session, and he did the work entirely freehand, except for the outline (which was only for size). Sean set the original portrait on a stool next to us and as he worked our conversation dropped off to almost nothing as he fell deeper and deeper into his art. At some points he was wrapped completely around me to stabilize himself so he could complete the fine detail work in the portrait. We were both exhausted at the session's end, but the experience felt very similar to the making of a poem. I remain amazed by the experience (and Sean's work)! The portrait reminds me every day that A. I am not Whitman, but B. That I carry the first poet I loved with me every day, and that we both change every day. I love having the present-ness of the past, as Eliot would say, with me as a person in the world, and as a poet at the desk." that Whitman’s ghost is real as me. able to capture a moment’s difference in a man. appearing like little visions in the yard. Many birders handle the hobby in like manner. I suspect my wife and I also will. might find a better store of shelled, halved, peanuts. 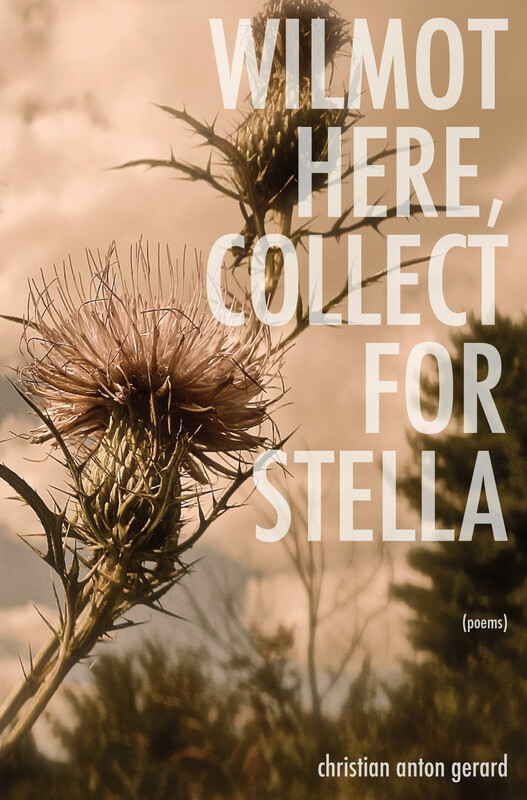 Christian Anton Gerard's first book, Wilmot Here, Collect For Stella (WordTech Communications' CW Books) is just out. It is available through his website www.christianantongerard.com for $15, including shipping (a bit less than the retail giants). Interested readers purchasing directly from Christian will receive a signed and inscribed copy. The book is also available through Amazon, Barnes & Noble, and most other online booksellers. He has received Pushcart Prize nominations, scholarships from the Bread Loaf Writers’ Conference, and his recent poems appear in Redivider, Pank, Orion, Smartish Pace, The Rumpus, and The Journal. Gerard currently lives in Knoxville where he's editor of Grist: The Journal for Writers and an English Ph.D. candidate at the University of Tennessee. He can be found on the web at www.christianantongerard.com. 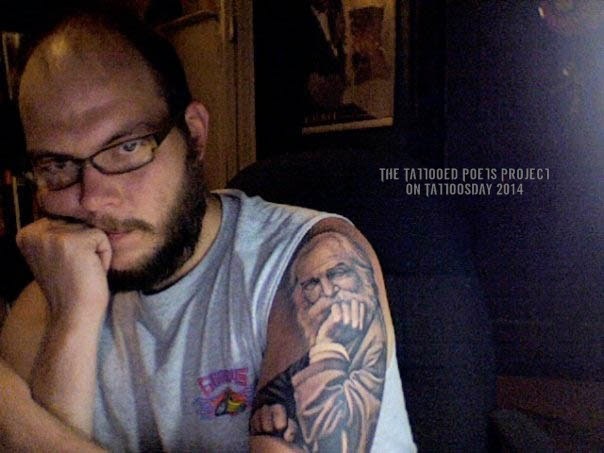 Thanks to Christian for sharing his amazing tattoo with us here on Tattoosday's Tattooed Poets Project!